Today Mama and I reinstated Self-care Sunday with a full home facial and brow tint! We recently got a Godefroy Eyebrow Tint Kit online and read the comments to pick up tips. For example, use Vaseline around the brows to avoid tinting the skin. Today was our second brow tint experiment. I was less afraid of tinting our brows black this time, and they turned out even better than before! Then we tested out the new charcoal nose strips — a departure from our regular pore-cleaning strips. They were easier to apply and about as effective. We end our facial sessions with Mario Badescu face masks. The lighter one is a Super Collagen Mask and the darker one (on the bottom half of my face) is a Drying Mask. 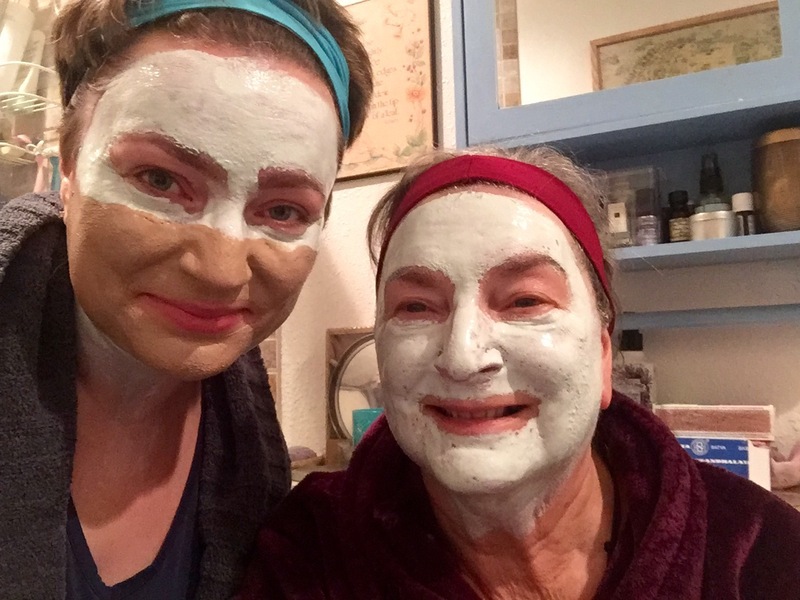 Today’s #OneGoodThing was a full-on Self-care Sunday with Mama! I even took an Epsom salt soak in the tub pre-facial! Day 106 of 365. And Day 472 in a row!